Fancy getting your hands on one of those smart speakers that are all the rage right now? Thanks to the good folk at John Lewis you can have a free Google-powered speaker to yell at, plus a great new broadband service. 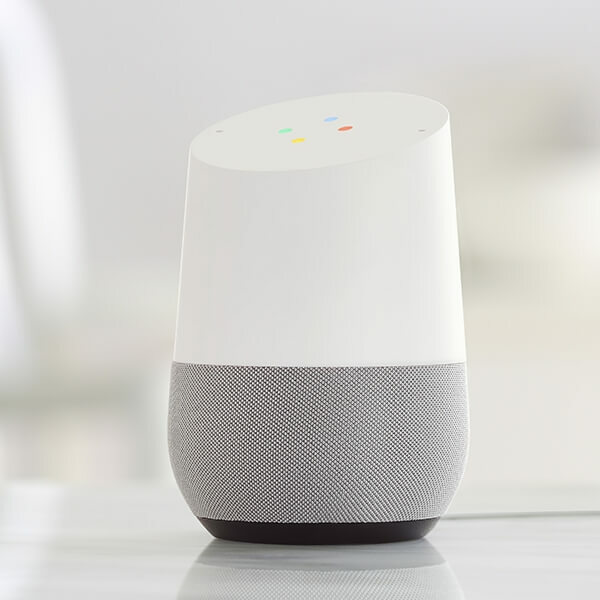 Google Home is an AI assistant built into a compact and attractive Bluetooth speaker. Using just the power of words you can ask it questions and tell it to do stuff like play music and cast YouTube videos. There’s an extensive list of commands, and more features are being added all the time. As we mentioned in our review of the Amazon Echo these gizmos are especially good for controlling a smart home. Google Home usually costs £129 but for a limited time anyone signing up for a new John Lewis broadband package will receive a free Google Home smart speaker along with their new broadband and phone service. All deals come with unlimited data and inclusive evening and weekend calls to UK landlines. You’ll also receive a free Wi-Fi router and Bullguard security tools. JL also provide a 24/7 freephone customer service line so you can always get in touch when there's a problem.